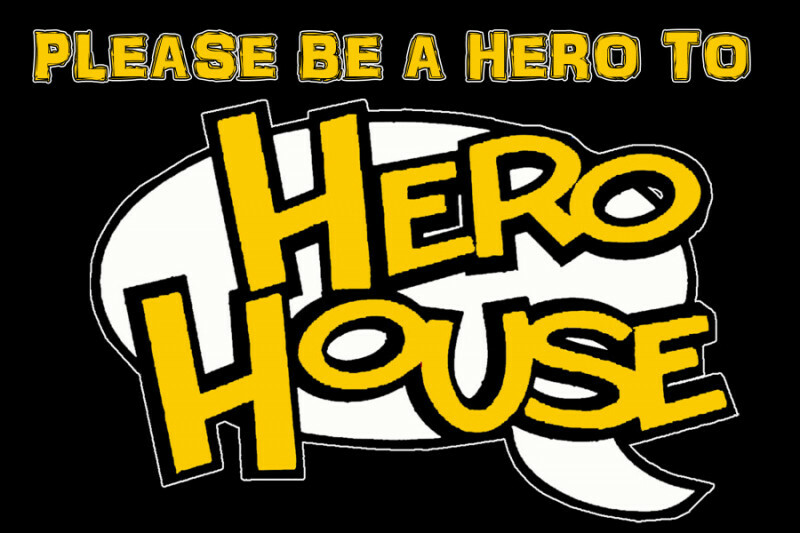 Fundraiser by Mike Rittenhouse : Be a hero to HERO HOUSE COMICS! Be a hero to HERO HOUSE COMICS! Hello. Mike here. Most of you will recognize me as the guy who is usually at Hero House. You also may know me as a member of Indianapolis-based Star Trek band, Five Year Mission. I'm here today to ask for some help. This isn't easy for me, considering I am a very stubborn person who likes to do things on my own. But today, I just had to face some facts. Hero House's debts have become too overwhelming for me. Between the extremely slow and unweilding sales of this past scary election season and the unending bank fees that accompany it, I am finding that Hero House is falling too far behind for me to catch up on my own. I held out hope that sales would increase and that things would smooth themselves out. But they haven't fast enough for the debt collectors, the utility companies, the punctual landlords and all the other greedy money-sucking monsters clawing at my bank account. When I opened Hero House back in 2009 in a dreary run-down Fountain Square, I had no idea what I was doing. I just knew I wanted to do it. Over the next 7 1/2 years, as I learned what it takes to run a comic book store, I have watched Fountain Square blossom into one of the more important neighborhoods in Indianapolis. I love it here. And I think that most people love having a comic shop here. I feel like, after 7 years, Hero House has become an staple in Foutnain Square. We have survived here through many rough times. There were many moments I was holding my breath (and barely eating) to make sure it survived. Hell, I was even homeless for a while. But I never let Hero House down. I refused to let it fail. And I refuse to let it fail now. That is why I am swallowing my pride and self-determination and asking all of you to give me a hand in keeping Hero House alive. It really would only take about $5000 to get everything back on track. To pay off the lingering debts that are weighing us down and to stop all of the endless bank fees from dragging us down even further. Please, donate whatever you can to us to help us remain one of Fountain Square's best (and longest lasting) businesses. If this works, then I promise to continue to offer the absolute best comic book shop services this town has to offer. I am eternally grateful for whatever help anyone can offer. Whether it is donating to this cause or coming into Hero House and buying something. Every little bit helps. We're still hanging in there! Thanks to everyone who has helped us out. Some of you have gone above and beyond in helping us out. I truly appreciate it. 3/5 of the way there! All of you are awesome! Thank you everyone who has helped us get this far! It has all really helped out a LOT! Only $2000 to go now! Let's keep the ball rolling! Hey, guys! We started out strong and we are over halfway. But it has REALLY slowed down here in the past week. Keep sharing and spreading the word so we can reach the goal! Even small donations are a big help and are greatly appreciated! The campaign still has quite a ways to go. If anyone else out there is able to help us out, it would be greatly appreciated. We still have a few bills to knock out. Any donations, even small ones, will be most helpful. In the meantime, please keep sharing and spreading the word. Thank you all for your help. <3 A few days late from Payday!